This bald eagle pair has been courting at Ridgefield each spring but I always assumed they nested elsewhere. Apparently not. I had never seen a bald eagle nest before — it was massive. The two youngsters rested while their parents kept a watchful eye from a nearby tree. The young eagles looked pretty big, I suspect they’ll fledge soon, but I could be wrong. Again. 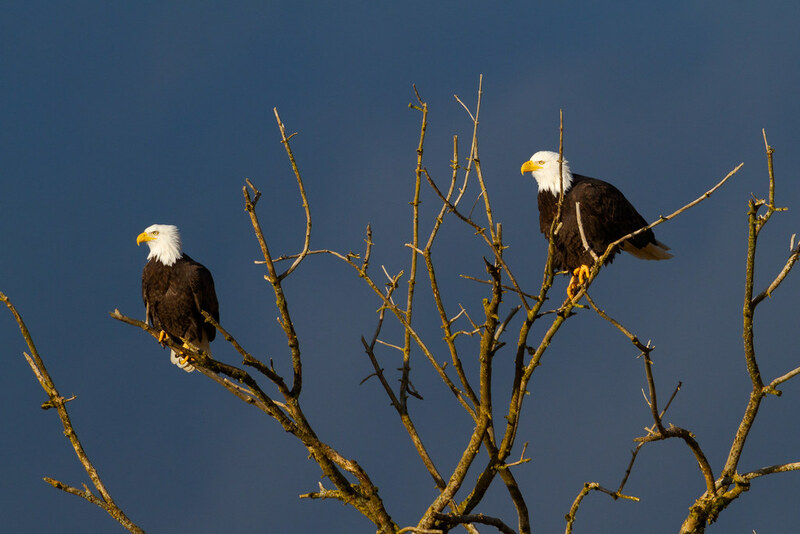 This entry was posted in Birds and tagged auto tour, bald eagle, Canvasback Lake, nest, perching, Ridgefield National Wildlife Refuge, River S Unit, tree, Washington. Bookmark the permalink.